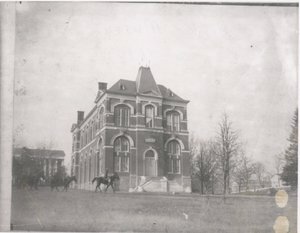 In the spirit of Jefferson’s scientific interests and the enthusiasm for museums in late 19th-century America, Brooks Hall was built as a natural history museum. 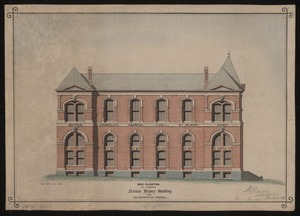 New York textile industrialist Lewis Brooks donated funds for the building and its specimen collection out of reverence for Jefferson and as part of the movement towards reconciliation between the North and South in the Centennial year. 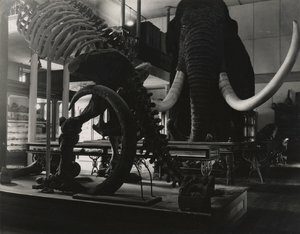 With full-size models of a woolly mammoth and a dinosaur skeleton, Brooks Hall served as a museum until it was remodeled into classroom space in the 1940s. The animal heads and names of famous naturalists around the exterior indicate Brooks Hall’s original function, while its mix of Second Empire and Néo-Grec styles distinguish it from Jefferson’s classicism. 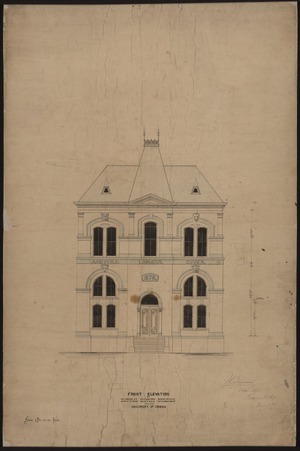 Although the museum’s eclectic Victorian style initially signified the building as modern and sophisticated, it has since led to questions about its appropriateness and even a movement to demolish the building in 1976. Architectural history students and faculty led a protest that ultimately saved the structure.